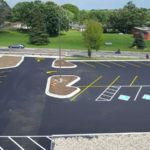 The re-roofing project on the William Henry Harrison High School in West Lafayette, Indiana involved the steep-slope roof areas totaling approximately 15,000 square feet. 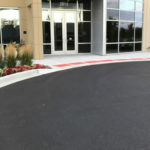 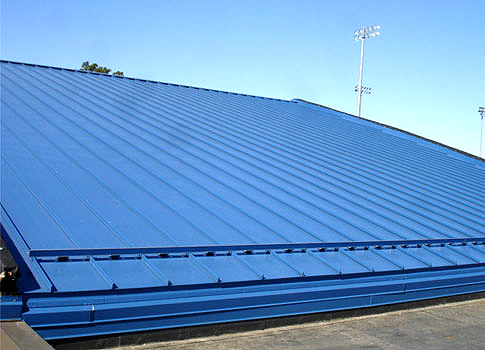 The existing metal panel finish had deteriorated and surface rusting was occurring at the seams. 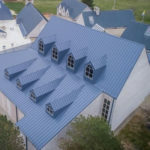 The new roof system features 4-inches of rigid insulation, a 1/2-inch plywood and synthetic underlayment followed by the installation of a distinctive 24 gauge prefinished galvanized architectural standing seam metal roof.